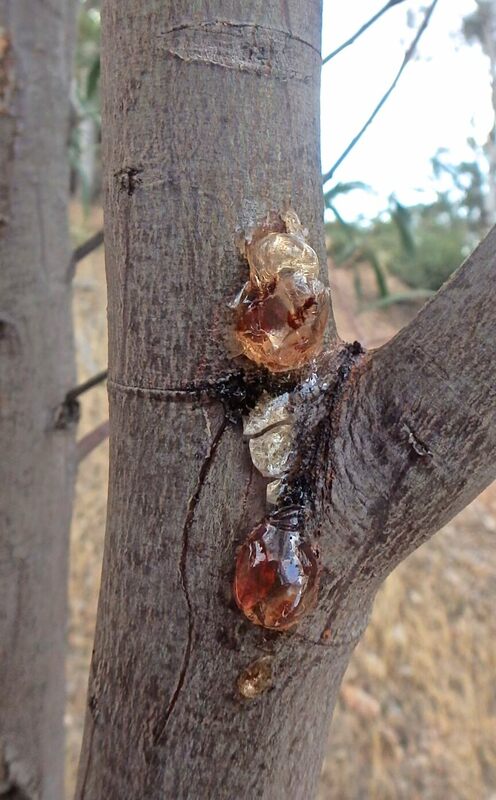 As the natural production of Acacia gum can be highly variable depending on climatic conditions and insect predation, we never doubted that indigenous people in southwestern Australia would have artificially wounded gum-producing Acacia to ensure a dependable supply during the gum (“galyang”) season in late spring/ early summer as this was an important food, food additive (bulking agent) and medicine. We wonder why, when gum Arabic was such a commercially profitable business in the early days of the Swan River colony, a scientist like Drummond who was heavily involved in promoting the local gum trade did not investigate the indigenous means of producing and procuring wattle gum? 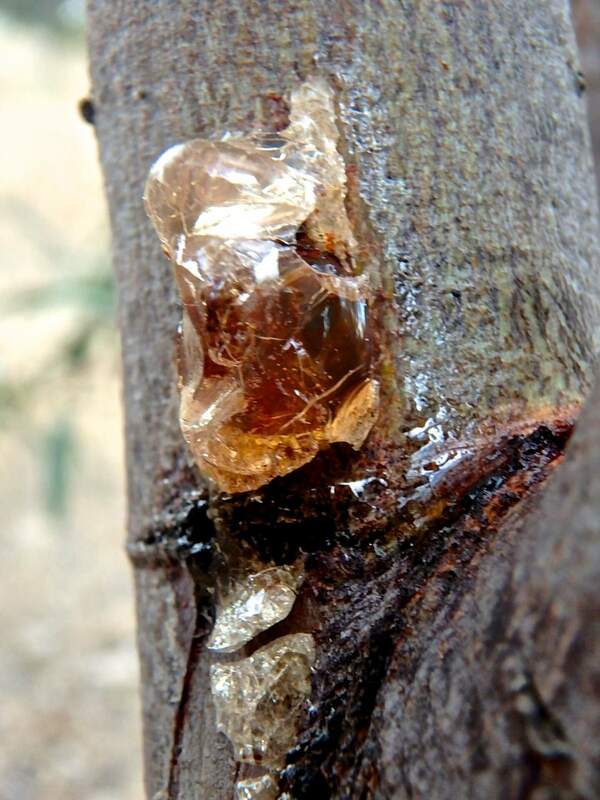 It is well documented that human agency was and still is involved in accelerating the production of gum resin (gum Arabic) for commercial and subsistence purposes in Africa. 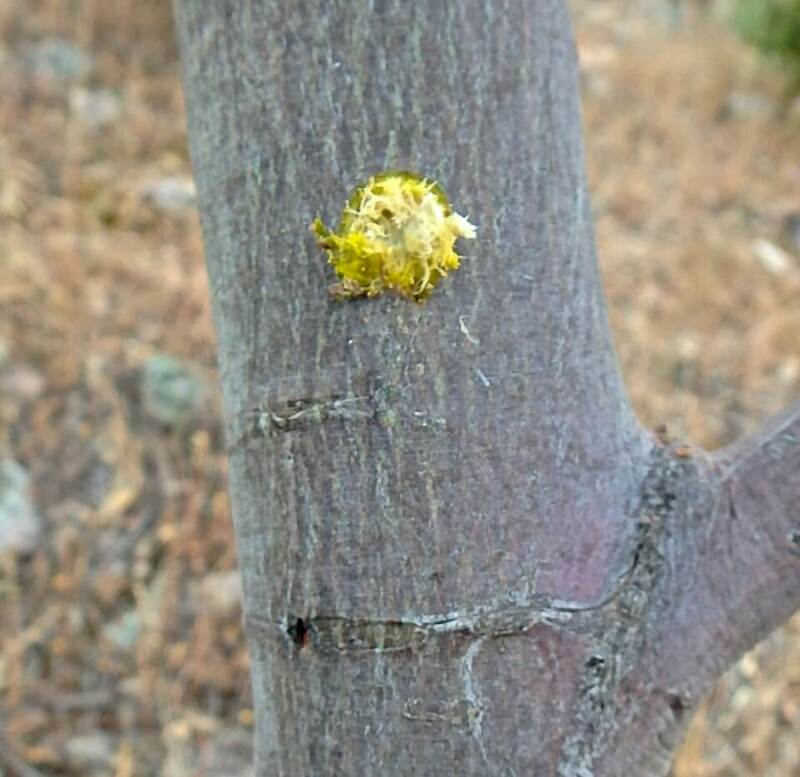 We conducted an experiment at our Toodyay property to test the possibility of producing a dependable quantity of gum exudate by artificially wounding the trunks of several young Acacia microbotrya. Our aim was to test whether it was possible to produce a gum exudate from Acacia microbotrya by inflicting a minor wound to the upper part of the tree trunk. 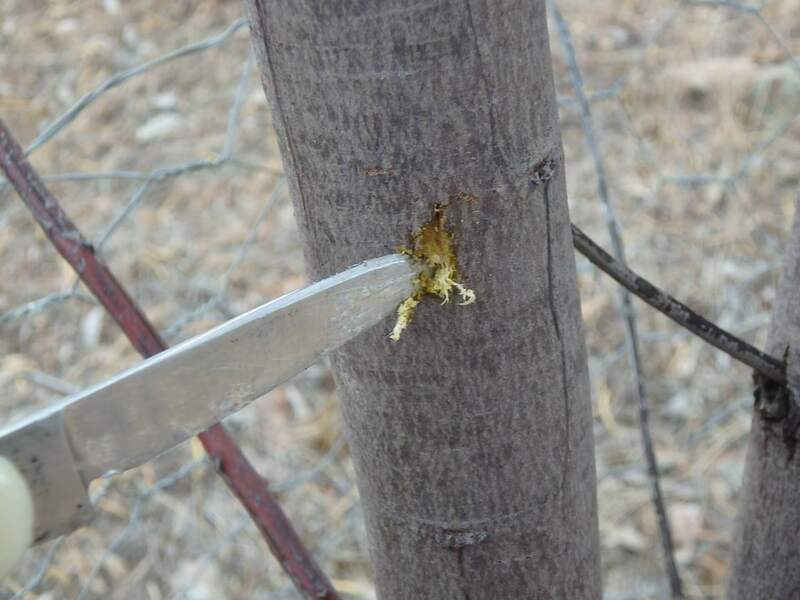 Small incisions were made (see Figures 1 & 2) using a pocket knife into the upper part of the trunks of 4 young Acacia microbotrya trees. These 4 test trees were re-examined on Monday 13th November 2017. 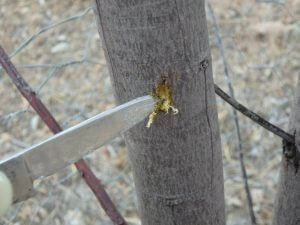 Fig 3: Acacia gum, still soft & sticky inside (produced from incision shown in Figs 1 & 2). Photo by Ken Macintyre 13th November 2017. Fig 4: Acacia gum, soft & sticky inside, exuding after incision. Photo by Ken Macintyre 13th Nov 2017. 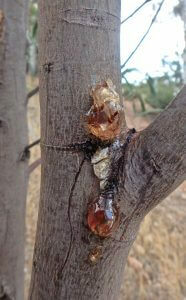 Three of the four trees that were artificially wounded were found to exude gum (see Figures 3 & 4). One tree did not exude any gum because the wounding was too superficial to have any effect. The fourth tree exuded only a small amount of gum as the incision was not very deep.